In addition to identifying the logoed items they had kept, respondents were asked how long they kept the most recently-obtained item of each product type. 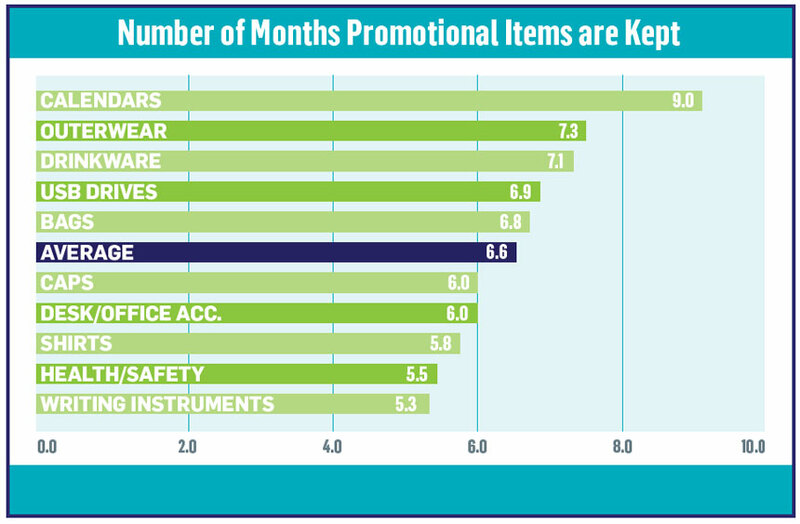 On average, ad specialty items are kept for nearly seven months in the U.S. Overall, calendars are typically held the longest – about nine months on average. Writing instruments are held the shortest amount of time at just over five months.